"He was very important to me," retired NMMA boat show vice president Cathy Rick-Joule told Trade Only Today. Rick-Joule, who kept in touch with Napier and his family after he retired, visited them many times in Rapallo, Italy, and Carefree, Az. 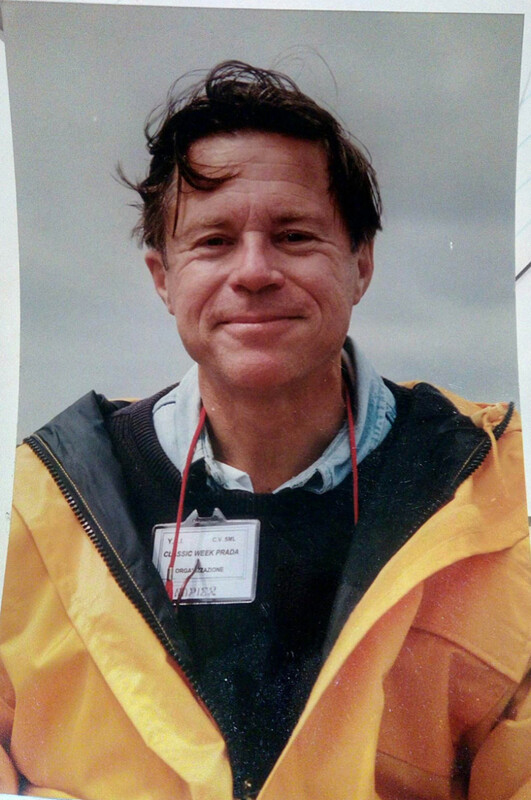 "Jeff cared so much about people and was always so generous with his time," Rick-Joule said. "He was a great leader and my life was better for having him as a mentor and a real friend." As president of the NMMA from 1980 to 1998, Napier was credited with tackling several issues facing the boating industry on Capitol Hill, including the luxury tax — a 10 percent excise tax implemented on sales of boats, among other items, implemented in 1990. Napier helped lead a three-year battle that eventually led to the Congressional repeal of the tax, according to a 1993 article in The New York Times. In the story, Napier highlighted the devastation the tax had inflicted on the industry. Napier said in a press release in 1994 that boat manufacturing jobs were up 27 percent since the repeal of the tax — which is still widely recalled and referenced in the industry, including by MarineMax CEO Bill McGill in a call this morning to discuss quarterly financial results. The tax triggered a 70 percent drop in sales on boats costing more than $100,000, the NMMA said at the time. Napier helped the NMMA make a case to Congress that repealing the tax would put production-line employees back to work. "Repealing the tax did what we said it would do,” Napier said in the statement. “People are getting their jobs back." In 1964, Napier started his career in the recreational boating industry as a lawyer and lobbyist for the Boating Industry Association, according to the National Marine Manufacturers Association. As the lawyer for BIA, Napier performed much of the legal work to merge the association with the National Association of Engine and Boat Manufacturer to create the NMMA. At its inception, NMMA had 450 members, two offices, a $3 million budget, and produced four boat shows. By the early 1990s, the association had close to 1,800 members, a budget of more than $30 million, a Washington office, state lobbyists, and more than 20 boat shows that it produced annually. A strong industry advocate, Napier argued two boating industry cases before the U.S. Supreme Court and created the original boating industry political action committee, increasing recognition of the industry as a player in Washington. Napier helped establish the direction for the Uniting the Industry for Growth campaign, which provided dealers an open forum to meet with manufacturers to discuss sensitive issues, including warranties and dealer agreements. He also convinced the NMMA board to fund extensive research programs, which exposed challenges the industry was facing and identified the steps that needed to be taken to turn it around, and planting the seeds for Grow Boating. Napier won the NMMA Hall of Fame Award in 2003. “Jeff’s leadership played a key role in the growth and success of NMMA, devoting his entire career to bettering the boating industry and community,” said NMMA president Thom Dammrich, who took over the role of president in 1999 after a brief interim term served between Dammrich and Napier by industry leader Sylvan “Ham” Hamberger.